One of the most bizarre names in music at the moment, but that don't mean a thing. 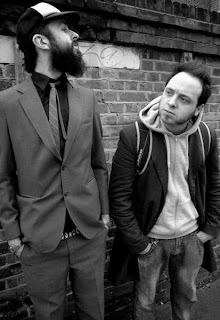 Producer Dan Le Sac and poet Scroobius Pip are taking over the airwaves at the moment with all manner of radio DJ's getting behind "Thou Shalt Always Kill". Sounds odd, but give it a go. It's a great tune and if you haven't heard it by now check the video below. I agree with 99% of what this man says. Buy the track from iTunes and Beatport.